Whether your looking for a Marquis Spa Hot Tub, Fireplace or BBQ, our experience team can help you find the right product for your lifestyle. Find out more! Whether your looking for a Marquis Spa Hot Tub, Fireplace or BBQ, our experience team can help you find the right product for your lifestyle. Visit our showroom at 1604 N Wenatchee Ave, Wenatchee 98801 to meet our friendly staff. We're here to help! Having over 20 years of customer service experience, Chuck knows how to guide you through your purchasing experience so you’ll leave the store with a smile on your face. 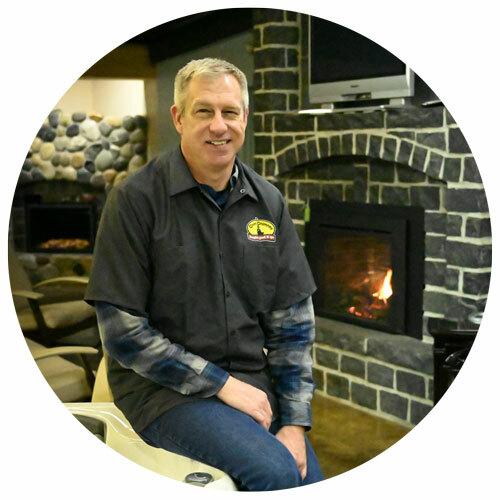 Dale’s our veteran expert on all our Marquis Spa Line and Fireplace & stoves, he’ll help you find what you’ve had your sights on. Tony is our scheduling expert. Contact Tony to order parts and supplies for your spa or fire units.